Gunslugs 2, developed by Orangepixel and ported / published on 3DS by Engine Software, is a fun and action-packed download title. Of course, no prizes are given for figuring out that it has a predecessor yet to arrive on 3DS - well, that's going to be fixed as Gunslugs is heading to the portable. And the lovely Nintendo Life community helped to make it happen thanks to its enthusiasm for the first release. When we interviewed the developers and asked about the first game on 3DS they suggested a poll to see if fans were interested; we obliged and the majority of voters gave the idea a thumbs up. Engine Software's Ivo Wubbels told us the following when confirming that the game is targeting a late May release (though it's still 'TBD') and will have a price tag of €1.99 / $1.99. When we created Gunslugs 2 for 3DS we did a quick interview with Nintendo Life about the game. One of the topics in that interview was: will Gunslugs 1 also come to eShop? And the answer is: yes! We decided to do so based on this interview! We posed a few questions to Wubbels to learn a little more, and he explained the reasoning behind the release and confirmed the inclusion of online leaderboards, which had been in demand from fans. 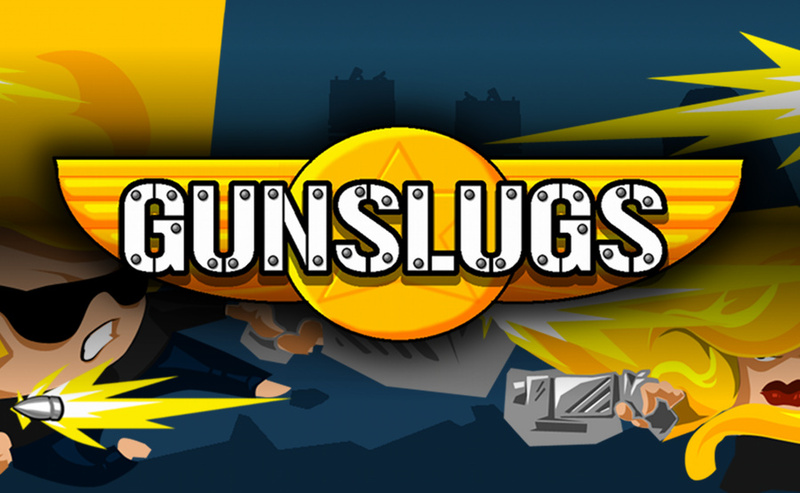 Has Gunslugs 2 been well received on the 3DS eShop? If we got negative feedback on the game we wouldn't have released the prequel! 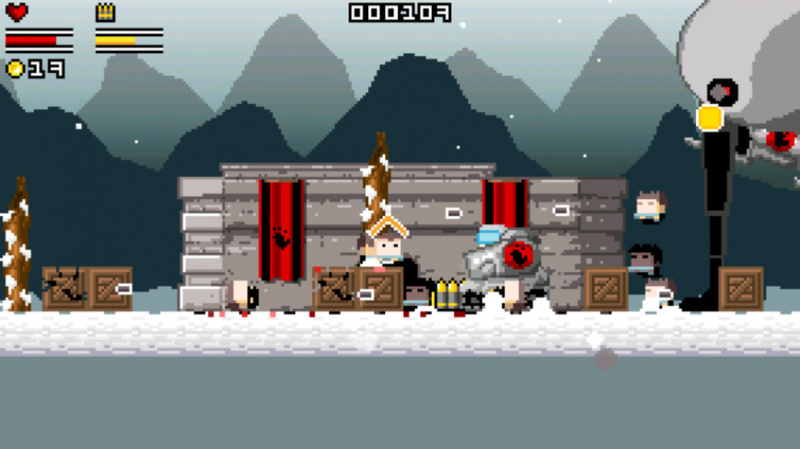 How important has fan feedback been in bringing Gunslugs 1 to 3DS? It has been the most important factor, we got some feedback and decided to work on this feedback in the prequel, eg people asked for online rankings. Also it seems people love the genre but want a low price point, like you see on mobile. So we thought it would be a good idea to release the first game for a very interesting low price point. 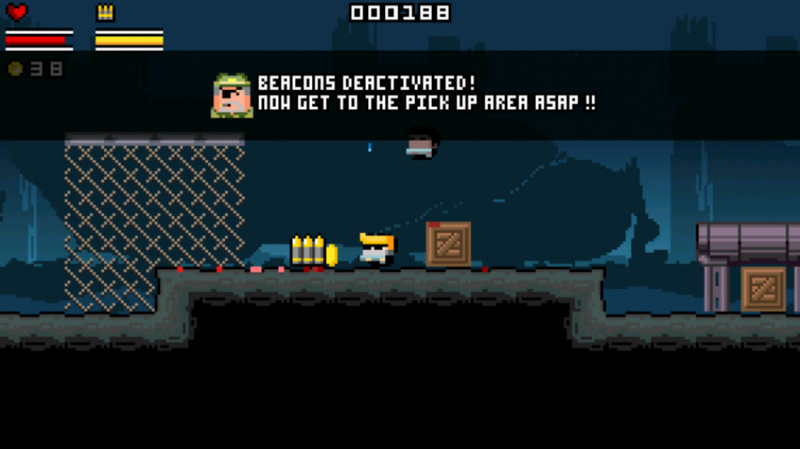 What differences can fans expect to see between Gunslugs 1 and 2? Some has been answered above. The games are of course similar in genre but still play different, eg in Gunslugs 1 players have more health, so can play more freely and take more damage. Its a great game to just play whenever you have some spare minutes. You can see some screen art below - albeit not at the native 3DS resolution - to get a sense of what it's all about. 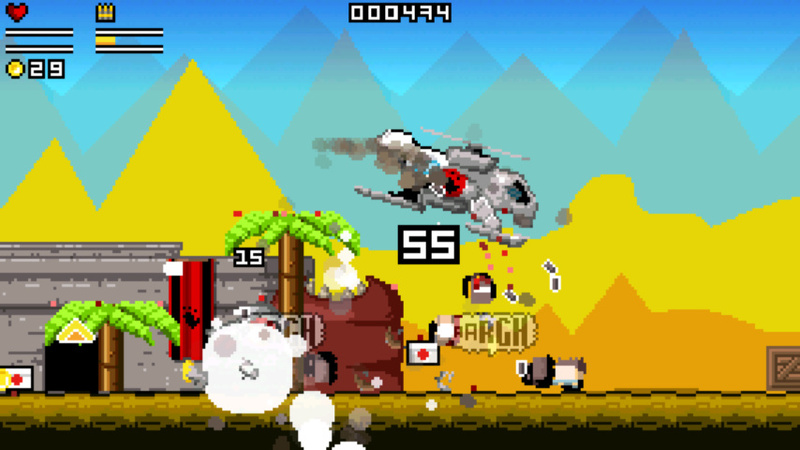 You can also catch up on what the sequel has to offer in our Gunslugs 2 review. Is this on your radar for the 3DS eShop? Nice! I almost bought the original on psn a little while back, but I'd much rather have it on my 3DS. Nice, day 1 buy for sure! Also, I really would love to see more Orangepixel games on the 3DS. WOW! that's excellent handling of PR for you. I wish other devs would be the same, I mean, open to feedback and that it could impact on their decisions. Others don't seem to care at all. I've seen these games on Google Play before, but I'll take 3DS controls over that anyday! This loyalty to fans certainly puts Orangepixel on my radar. GG everyone. And a big thank-you to NintendoLife for the interview and poll that allowed it to happen. Gonna DL GS2 soon, been meaning too.....my backlog. Will DL this as well! Ill buy both games without a question! Blimey. I just watched a trailer and it had the most SID inspired music I have heard in a fair while..........SOLD! Would have prefered some other Orange Pixel game like Heroes of Loot 1 & 2 but hopefully that will happen later on. @GrailUK that was part of the original description I gave Gavin for the music "C64 / chiptune action"
Kind of amazing as its 50/50 pos and negative feedback on the Gunslugs 2 review. I don't remember it being released. Maybe when I catch up a bit on games I'll give one of these games a go. @Orangepascal He nailed it mate! Great job! This developer is a really great guy. Years ago I ask him donate a couple of characters to an iOS game I was making and he did with no hesitation. I have always enjoyed his stuff on the iOS and of course will buy this on the 3ds. Awesome! I play the hell out of Gubslugs 2; can't wait to play the original! may by both in the future just because of this article. How did nintendolife make THAT happen and yet not make it so that North America would get Style Savvy 3?! Appalling!!! @Kiyata My guess is Gunslugs appeals more to the websites' general audience, which is more towards the core user, then Style Savy does. I for one would prefer GS without a second thought. My heart also weeps that there will never be a Ninja Town 2. @Orangepascal Yeah I know. I've been following the developing Just mentioning it will be cool. Best of luck! Great game. I think I liked part one a little more overall. Can't say I enjoyed Gunslugs II all that much but I did appreciate the effort on getting not-RPGs on the 3DS and wouldn't have any issue throwing a couple more bucks this developer's way. This looks sick, keep bringing these awesome titles to eshop so we can get those gold coins, amirite? You should have recommended a new Metroid game. You know...a Real Metroid game.